With that disclaimer out of the way: Man, there is some good vegetarian food in Seminyak and Ubud. I wasn’t sure what to expect of Bali’s vegetarian scene—I wasn’t really sure if that was even, like, a thing. Happily, it both exists and excels. Here are three of my favorite places—I sourced all of them from Foursquare and highly recommend that as a strategy, whether you’re in Bali or anywhere else in the world. 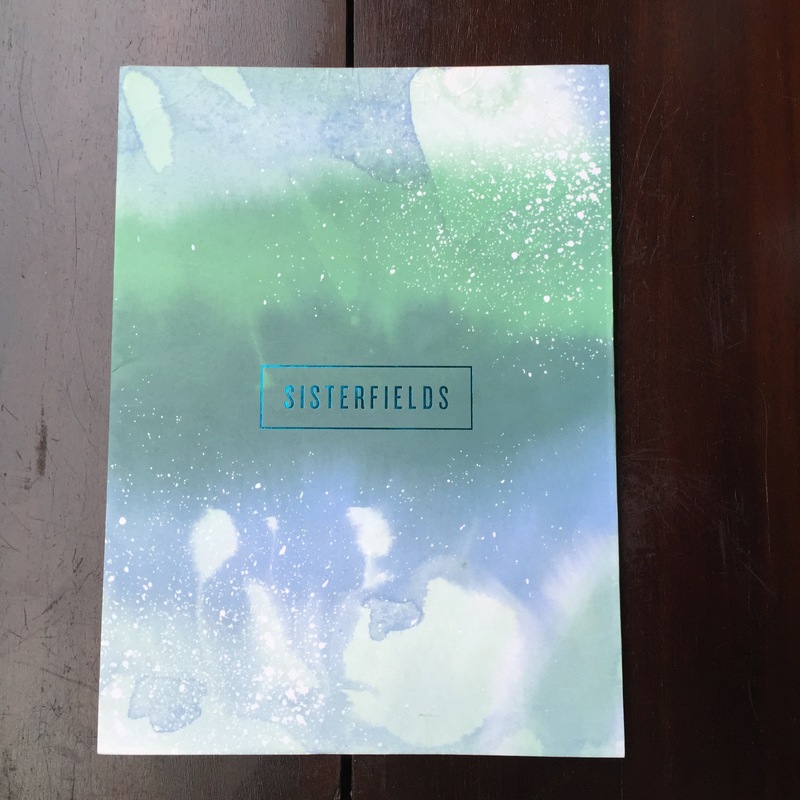 Sisterfields Cafe, Seminyak – I popped over here for breakfast on my second morning in Legian and loved it so much I returned the next day for my last meal in Bali. 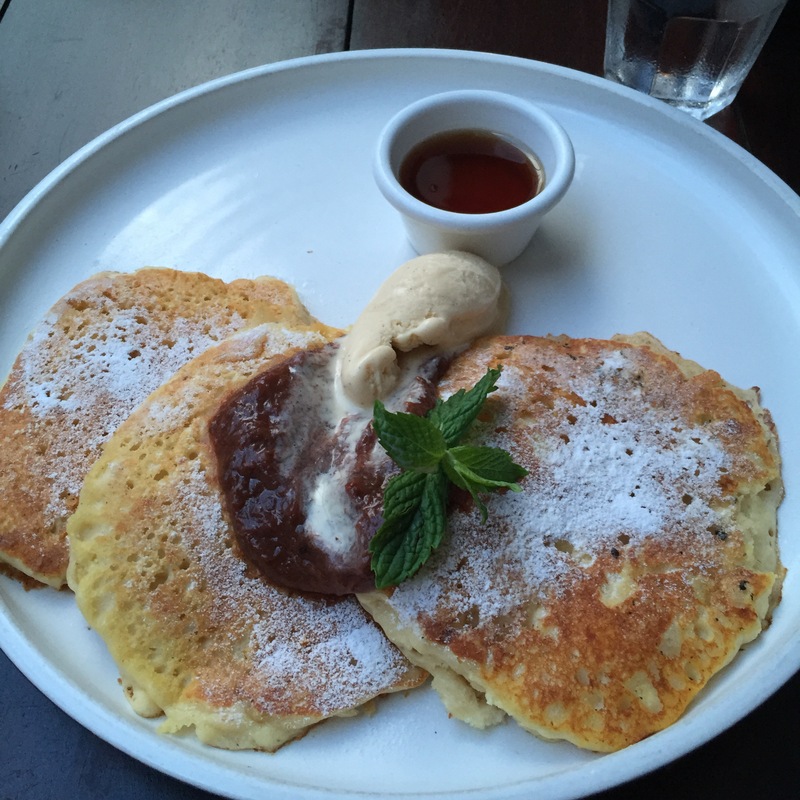 Both of my breakfast experiences were incredible—between them, I ordered the pancakes (a delicious choice if you’re looking for something familiar), the chilled coconut sago pudding (a delicious choice if you’re looking for something you won’t find on most brunch menus stateside), the green fields juice, and a mocha. From the service to the aesthetic (the menus are so pretty I wanted to steal one) to the seating (two shaded outdoor options and a large, air-conditioned indoor dining room), I had no complaints. Two tips, though: First, get there early. I was seated immediately after arriving just before 8, but soon after a line started to form. Second, the coffee is fine, but with Revolver so close by and so wildly good, I’d recommend just heading there for your caffeine fix. Earth Cafe, Seminyak – Unlike Sisterfields, this cafe/market is entirely vegetarian and vegan. The cafe has an extensive range of food and drinks, from Balinese cuisine to sandwiches to pizza to Mediterranean fare. They’ve even got raw nasi goreng. I had the quinoa coconut curry platter for lunch, and it was both tasty and massive. If you’d rather cook for yourself at your villa/hotel/whatever, Earth Cafe is also a great place to pick up healthy, organic, vegetarian/vegan staples. Kafe, Ubud – Kafe was just a 15-minute walk from my villa in Ubud, a luxury I didn’t appreciate until I moved to a hotel in Legian and took a couple of half-hour cab rides through the cramped, winding streets of Seminyak to visit Sisterfields and Earth Cafe. It’s exactly what I’d imagined a cafe in Ubud would be like—an somewhat bohemian-feeling airy (but not air-conditioned) two-story space with some patrons stretched out on comfortable benches and others, like me, sitting at a table writing. I stayed for a couple of hours, working my way through a plate of tempeh cashew nut curry, a couple of Bintangs, a Blackcurrant Burst smoothie, and some tiramisu while scribbling some reflections on my stay in Ubud in my journal. It felt like for a second I was actually living in the creative, beautifully filtered, adventurous parallel world I cultivate on Instagram. Are there any vegetarian places in Bali that it was criminal of me to omit? (I’m sure there are.) Drop them in a comment so I can correct my mistakes next time I’m on that side of the world.